Australians wishing to play the pokies online for real money might be concerned over the legalities of doing so. So is playing pokies on the Net for AUD allowed within our borders? The simple answer is yes, and the more detailed responses are explained in this article. It is important that we understand the legalities of our activities when gambling with real money and this applies for national, state, and local laws. Rest assured that it is 100% safe for Australians to play at any of the offshore casinos recommended in our table above, as the laws continue to be focused on the operators rather than the players. According to the Interactive Gambling Act passed in 2001, accessing and using interactive gambling services in Australia is not an offence. This means individual Australian gamblers are at no risk when playing the slots, or any other form of gambling, online. So why was the IGA introduced? The IGA was introduced to make it illegal to operate an online casino within Australian borders and offer real money online interactive gambling to Australian residents. It is also in place so online gambling operators cannot advertise real money services, such as pokies, poker and blackjack, to Australians. A commission to review the Interactive Gambling Act 2001 was established in 2012. The reviewing committee conducted surveys and analysed how Australians are now engaging in the ever-expanding virtual world of gambling via mobile devices and computers. They have submitted their findings and amendments to the Interactive Gambling Act 2001 are currently being considered. The committee has stated they are particularly concerned with ‘betting on the run’ (i.e. making bets on a sports game while the sports game is happening in real time) and micro-betting which couldn’t eventually affect how low-cost entry pokies are run. In reality, though, it is unlikely that there will be any changes made to the way Australians play online pokies in the near future. All Australian interactive gambling is targeted at gambling service providers not players, so as a slots player you can choose to play on whichever web sites you choose without the risk of being fined. On March 20th 2017, changes were made in parliament to the Interactive Gambling Act, with legislators approving certain aspects of the Interactive Gambling Amendment Bill 2016. The wording impacting Aussie players the most states the legislative amendments will prohibit a person providing regulated interactive gambling services to Australians unless the person holds a licence under the law of an Australian state or territory. Put simply, changes to the IGA means offshore casinos are no longer allowed to offer their gambling services to Aussie players, unless they obtain a license from Australia allowing them to do so. The IGA amendments failed to take into account that many of these offshore casino sites are operating fully above board, with licensing from reputable international gambling jurisdictions, so it is likely that many foreign vendors will continue to service the Australian market. There is nothing in the IGA amendments to impose a punishment for Aussie players who continue servicing offshore casino sites. If you do decide to access offshore casinos that do not have licensing in Australia, ensure you stick with sites that are licensed by reputable international gambling jurisdictions, like the UK, Malta, Alderney, Curacao, Gibraltar and Isle of Man. Always use a trustworthy VPN (virtual private network) service when playing the pokies online to get around any region-restrictions and to also benefit from an added layer of online security. The term ‘interactive’ provides wiggle room, too. Sports betting is legal, if you make the wager before the game starts. If you punt before the game is underway, you aren’t interacting with the game, so it’s legal. The same goes with lottery tickets. On sports punts and lotto tickets, it is legal to buy from licensed operators. Scratchies would be illegal, because they are instant play games. So would in-game live betting. For that matter, virtual poker machines would be considered interactive. It is illegal for online gambling operators to advertise real money games – hence you shouldn’t ever see real money slots being advertised online. 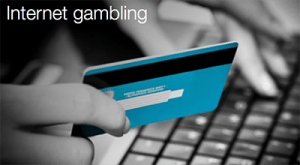 Gambling establishments illegally advertising can be fined as much as $220 000 for the offence. The legislation holds gambling corporations responsible, not players. The question is more complicated than the IGA 2001, though. Just because the federal government doesn’t mind you playing for real money, that doesn’t mean your state government sees it that way. The variation in state laws is stark. In some states, interactive gaming is given a wink and a nod. In others, the laws are stringent. Often, this is where you have to be most careful. A patchwork of agencies regulate gaming for the State and Territory authorities. In New South Wales and Queensland, an “Office of Liquor, Gaming and Racing” regulates gambling, including online gambling. In Victoria, the “Victorian Commission for Gambling and Liquor Regulation” oversees gaming. In the Northern Territory, the NT Licensing Commission is the local authority. In South Australia, the “Independent Gambling Authority” administers the laws. The Tasmanian Gaming Commission does the same in Tasmania. The WA Department of Racing, Gaming, and Liquor handles regulatory activities of gambling in the Western Territory. Meanwhile, the ACT Gambling and Racing Commission handles the regulation of gaming in the Australian Capital Territory. The regulation, licensing, and taxation of games can be quite different from one state to the next. For instance, South Australia is known to enact more and harsher laws on most forms of gambling than its neighbours. Don’t assume that, because gambling is currently legal in your area, it always will be. It’s your responsibility to know the current laws. Certain Australian politicians are known for championing anti-gambling laws. One of these is Andrew Wilkie, an independent federal member from Denison, Tasmania. Andrew Wilkie is an ex-army officer, intelligence analyst, and politician. In 2003, Mr Wilkie made a name for himself by resigning from the Office of National Assessments over what he considered were exaggerated claims to further Australia’s contribution of the 2003 invasion of Iraq. Andrew Wilkie won a federal seat for Denison after the distribution of preferences (after finishing third on first preferences) in 2010. 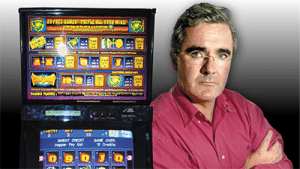 The removal of poker machines was a key campaign issue for Andrew Wilkie in 2010. Since, he’s become a major proponent of pre-commitment plans. He spends most of his time focusing on the pokies in land-based clubs, casinos, and pubs. That doesn’t mean Wilkie won’t try to institute harsher new laws against online pokies, because their presence is growing in Australia. Nick Xenophon is a sometime ally of Wilkie’s in championing anti-gambling laws. In fact, the former lawyer from Adelaide, South Africa ran as an independent candidate under the “No Pokies” banner in 1997. Xenophon eventually won office in 2007 and is today the most popular politician in South Australia, polling over 20% of the vote in 2007 and pulling through a running mate on his coattails. Xenophon began his law career in personal injury law and workers compensation, but continues to champion anti-pokies causes to this day. 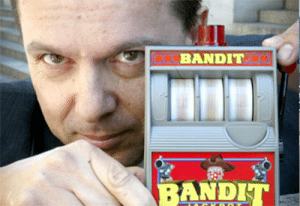 Mr Xenophon is representative of the aggressive reformist mood in South Australia, which often leads the country in the strongest gaming laws. In the coming 2013 national election, Nick Xenophon is one of a few independents who could hold the balance of power in the parliament. His continuing support for strong gambling laws could affect the future state of online gambling in Australia, including whether online pokies will be legal. Unlike land based pokies where the government enforces a minimum payout standard, online pokies are not monitored by the government. 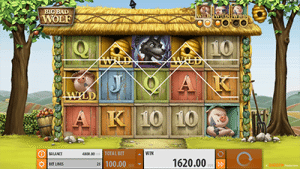 Online slots game providers are not legally obliged to meet a minimum payout level – however, all quality web casinos will have certificates to prove that they have fair payouts on their games. eCOGRA is one industry watchdog who assesses the payout fairness rates of online pokies for sites. If a virtual casino has the seal of approval from eCOGRA you can trust that pokies will be equally fair in the payouts (if not more generous) as land based pokies in Australia. In Australia, a gambler’s winnings are not taxed. This is because gambling is not considered a profession in Australia and is classified as a hobby and the result of good luck. Therefore, any real money you win while playing slots at an online casino is yours to keep. Gambling operators, on the other hand, are taxed – but this isn’t something the average player has to worry about. Gamblers need to know that the gaming laws of Australia are evolving. 2013 is a key year for the future of Aussie’s national and international gambling industry. What happens in the election will affect law-making for years to come. The mood of the country is for stronger gaming laws, so online pokies could be illegal in Australia someday, like it is in the United States. While it may not be likely for it ever to be illegal for individuals gambling on the desktop or tablet computer or Android smartphone, agencies could start to enforce the IGA against providers with greater energy. If so, it could be much harder for you to find a good gaming provider, which could dampen interest in online pokies. Those who believe they should be allowed to do as they wish in the privacy of their home should consider how they stand on the gambling laws in Australia.